The USEF/USDF Dressage Seat Medal Program, for riders ages 18 and under, celebrates excellence in equitation and strives to develop a solid foundation for future success in the dressage arena. Riders wishing to qualify for the USEF Dressage Seat Medal Finals must compete in the USDF Dressage Seat Medal Semi-Finals held at the Great American Insurance Group/USDF Regional Championships. To qualify for the USDF Dressage Seat Medal Semi-Finals, a competitor must earn a qualifying score of 70% or above in any eligible Dressage Seat Equitation class (except walk/trot) held at a USEF-licensed/USDF-recognized dressage competition during the qualifying period or by qualifying for the Great American Insurance Group/USDF Regional Championships. The top two placing riders in the Semi-Finals are automatically invited to the Finals. 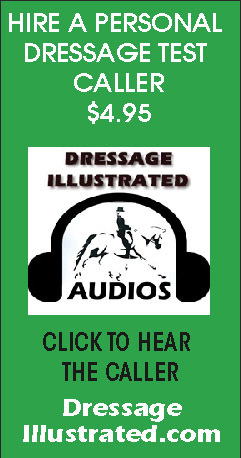 Want to see what Dressage Seat Equitation is all about? Check out the video footage from the 2018 USEF Dressage Seat Medal Finals! For questions regarding qualifying and/or the USDF Dressage Seat Medal Semi-Finals, please contact youth@usdf.org or call (859) 971-2277. USDF Youth is on Facebook! “LIKE” us today!